These Three Ways to Wear posts are my favorite to write. I enjoy the challenge of pulling together three different looks with one item as it forces me to look at my collection with fresh eyes each week and it often throws up new outfit combinations. It’s a fantastic way to stop my collection getting stale, but the main reason I do these posts is because I want to show you how much I utilize each piece in my closet to inspire you to be more creative with what you have. I’ve seen too many clients limiting themselves by only wearing a small percentage of their collection, so I know that having a closet full of clothes and nothing to wear is a real problem so I want to encourage you to think differently about your collection and help you wear more of what you have. 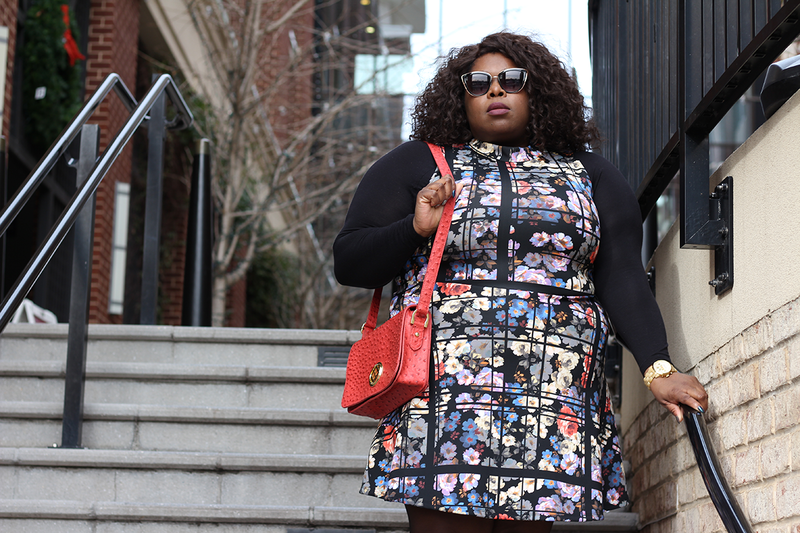 However, I’m aware that using my closet limits your inspiration to my style and outfits that suit my shape, so I’ve decided to introduce some different styles and shapes into the mix by enlisting the help of some fellow fashion bloggers, and first up is Vivi from Heart, Print and Style. 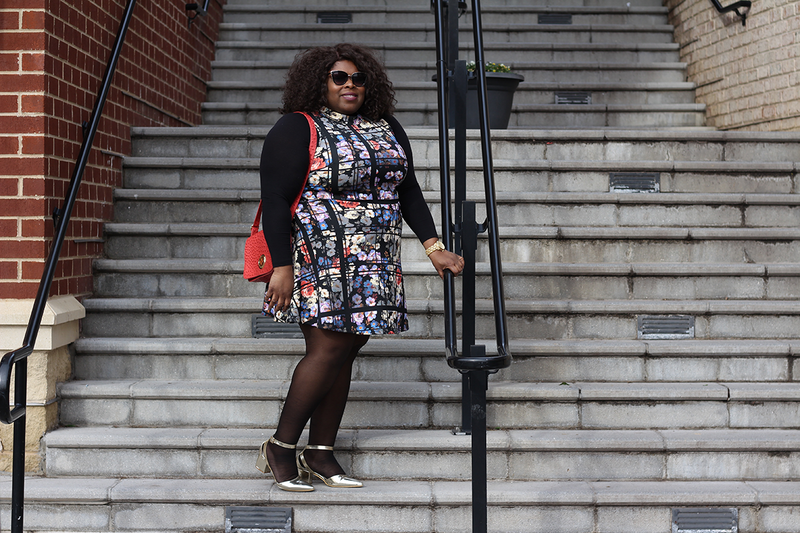 I’m a big fan of Vivi’s bold style – she’s not afraid of a statement print and always makes the most of her curves, and the three outfits she shares with us showcase this brilliantly. Take it away Vivi! Hi I’m Vivi, a Nigerian-American, born and raised in Washington, DC and living near the city. Lover of all things style, TV, music, and the NBA. Being the creator and editor of my lifestyle blog for the past seven years has been such a blessing in my life. It has really fed this creative Libra soul. If I’m not blogging or browsing my social media pages or watching TV (current favorite show: This is Us) or listening to music or cheering on my favorite basketball player (Carmelo ‘Melo’ Anthony) or home team (Washington Wizards) then I’m attending local events or doing some kind of activity or checking out the latest art exhibition. Pretty soon, I’ll be starting a new job in a new industry and I’m pretty damn excited! Paired with a suede mini and oversized printed cardigan. Call it the updated school girl look. 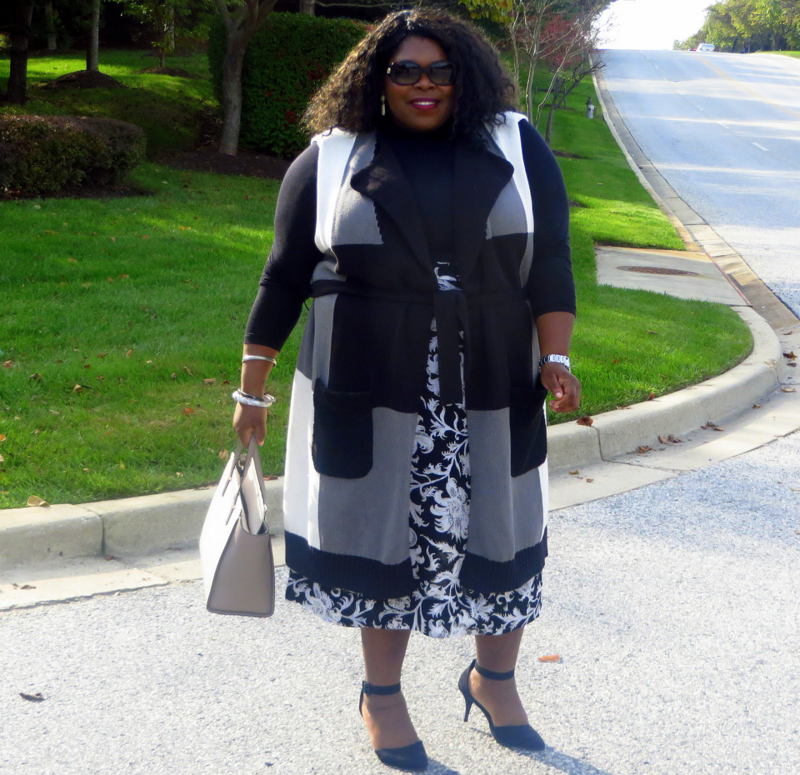 Layered under a sleeveless printed cardigan jacket. And for some additional fun, I wore a clashing printed skirt. Layered under a printed mini dress. To see more of Vivi’s style, you can visit her blog, Heart, Print and Style and follow her on Instagram and Facebook!